Queen Rania of Jordan attended the launch of the "6th Jordan Volunteers Forum" at the Royal Cultural Center on February 10, 2016 in Amman. 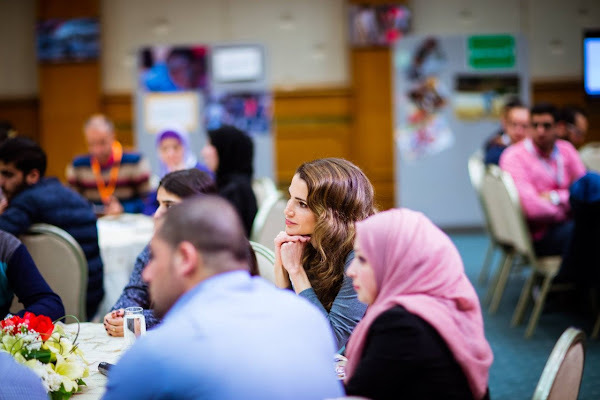 Since its launch in 2009, 33,000 members have joined ‘Jordan Volunteers’ and have been able to organize hundreds of volunteer activities in different sectors. The elderly, orphans, people with disabilities, and pediatric cancer patients are among the group’s beneficiaries. ‘Jordan Volunteers’ is registered as a non-profit company under the Ministry of Trade and Industry. The hair style is better now .